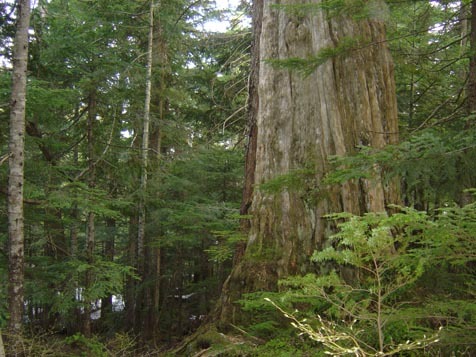 The Caren Range is home to Canada's oldest known close canopy forest. At an elevation ranging from 2500 to 4000 feet, the Caren Range is blessed with 2000 year old Yellow Cedar giants, pristine wetlands and numerous fish bearing lakes. The Caren Range is also called home by an abundant variety of old-growth dependant wildlife including the endangered Marbled Murrelet. The battle to save Canada's famous Caren Range from a proposed massive open pit mine goes on. Situated on the Sechelt Peninsula of the Sunshine Coast, the Caren Range is an easy to visit Canadian wonder. take action! Here's your opportunity to do your part to save the Caren Range from an open pit mine. Find out about upcoming tours or special events in or about the Caren Range. An archive of news stories concerning the Caren Range can be found here. Experience the beauty of the Caren Range everyday on your desktop computer. Many organizations on the coast are fighting to protect the caren range. Here's a few.